I have just learned about the departure of my good friend Pieter Roskam. 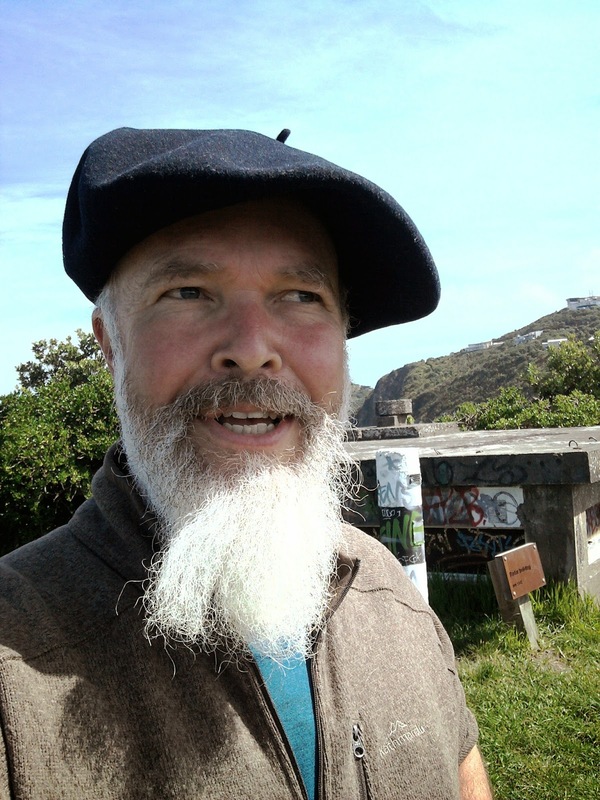 I have not known Pieter for long - it was our mutual passion for berets that brought us together, four of five years ago and since then, we have developed a strong friendship by correspondence - there being 20.000 kilometers between us. I got to know Pieter as a man of strong passions and being extremely faithful to those passions. 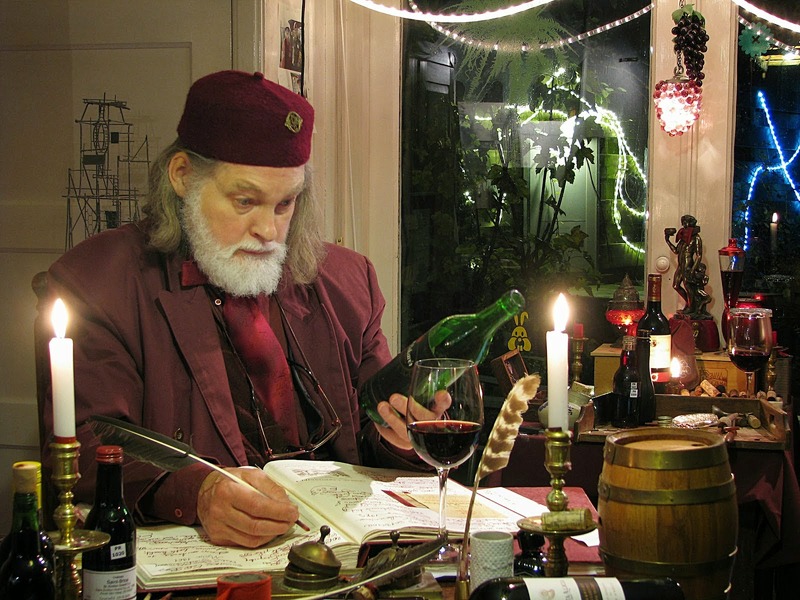 One of these passions were berets, or more specifically: Bordeaux coloured berets. 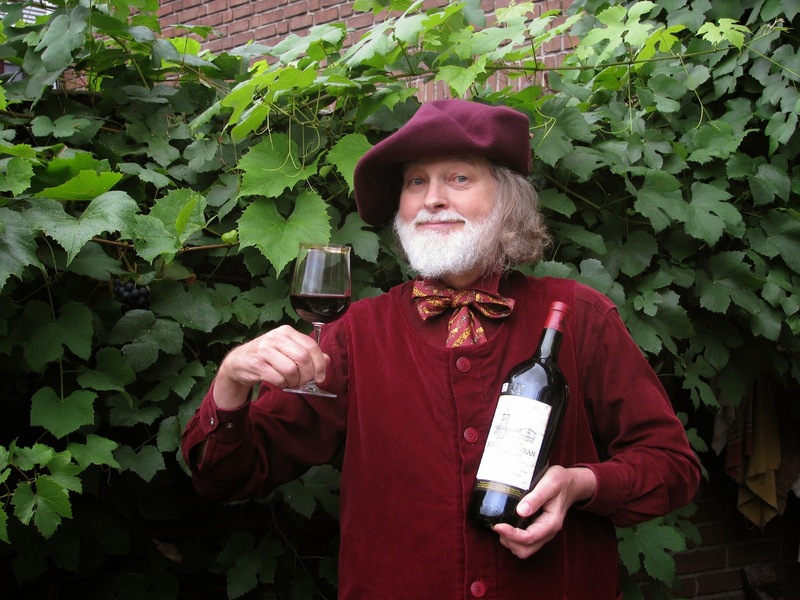 Well, everything about, or on, Pieter was Bordeaux - from socks to pants to jacket to beret. 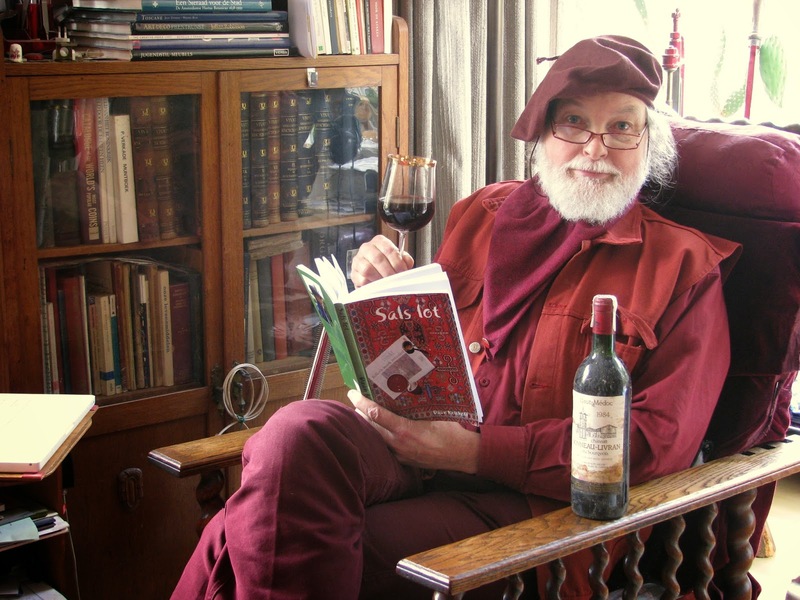 Pieter was a talented man; an artist, photographer, wine merchent, who managed to live a life with Asperger in a way that I can only admire: he stayed himself, did what he thought he needed to do and enjoyed life to the full. Pieter had been troubled by cancer for many years and took a very active role in fighting the disease, becoming an expert on various treatments himself. But, it was a loosing battle and we knew it. I am happy for Pieter to have gone in the way he did, confident and in peace. 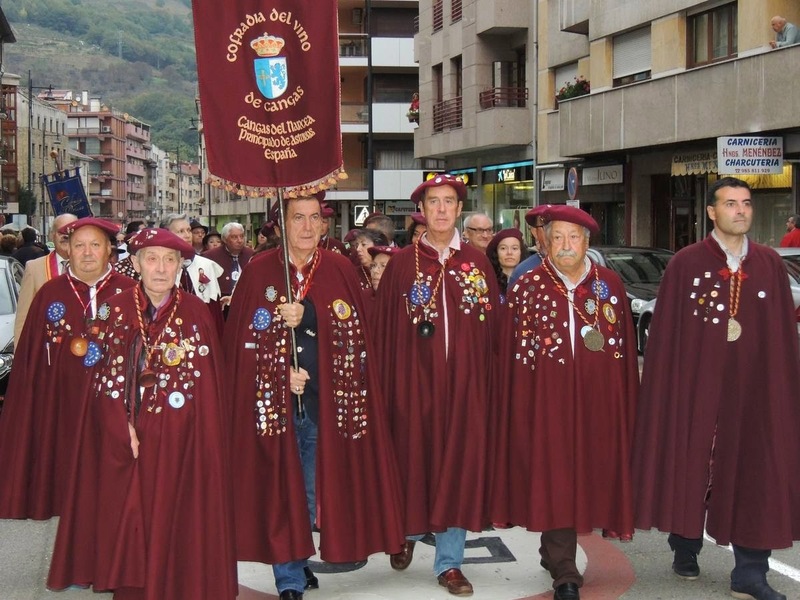 Not many, but a few berets survived: Basques who migrated to the US. Nice portrait of a Basque-US shepherd. 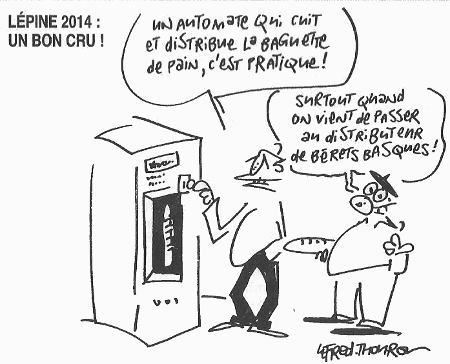 "A vending machine that cooks and gives out baguettes, that's practical!" 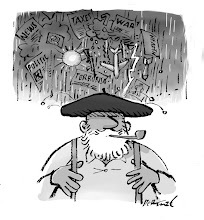 "Especially when you just went to the vending machine of Basque berets!" In 1939, the father of Raymond fled the Franco regime and moved to Bram, in the south of France. 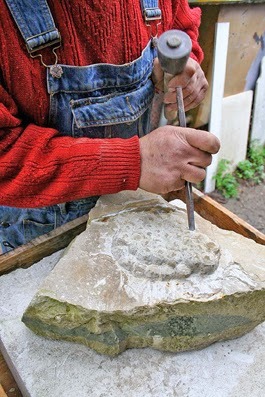 In Spain he worked as a stonemason, but in France, like all other refugees, he accepted all the work he could get; make raffia espadrilles, do masonry and work for the local. He had to wait eight years before he was joined by his wife and their two young children aged 11 and 8. Raymond Jr was born a year later. 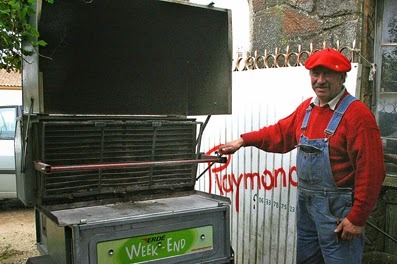 It didn’t take too long for Raymond Jr to follow in his father’s footsteps as a stonemason (despite studying engineering for a while, but in the period before 1968, he found it easy to drop out). 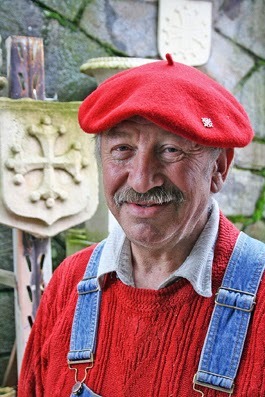 Raymond is always dressed in his bright red beret with an Occitan symbol pinned to it. Here he poses for the barbeque he designed to roast 50 ducks at a time. These video clips are only two of many from this web site, a provider of commercials of some kind, but the deeper sense behind it is beyond me. 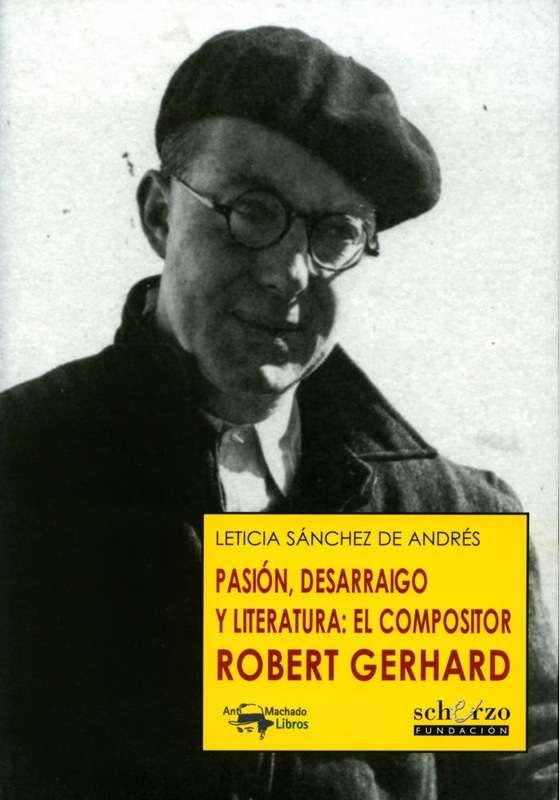 Robert Gerhard i Ottenwaelder (1896 – 1970) was a Catalan composer and musical scholar and writer, generally known outside Catalonia as Roberto Gerhard. Roberto was the son of a German-Swiss father and an Alsatian mother. He was predisposed to an international, multilingual outlook, but by birth and culture he was a Catalan. He studied piano with Granados and composition with the great scholar-composer Felipe Pedrell. Gerhard spent several years with Schoenberg in Vienna and Berlin. 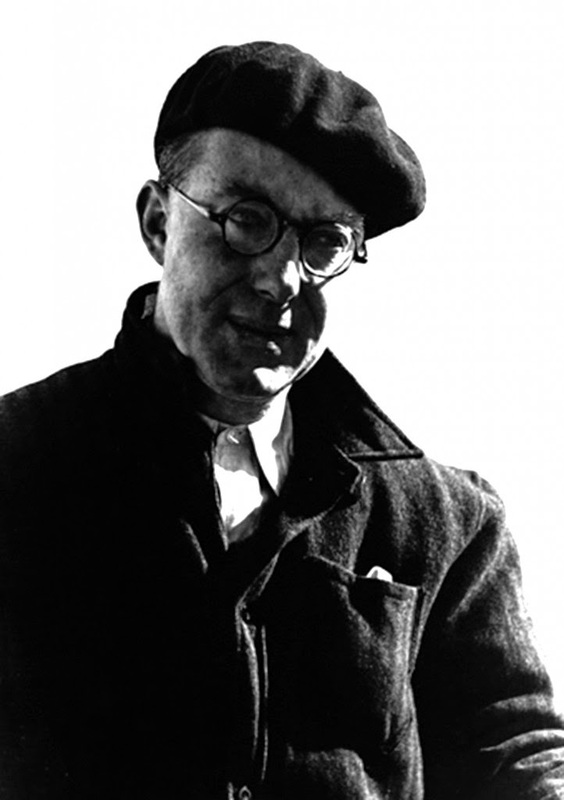 Returning to Barcelona in 1928, he befriended Joan Miró and Pablo Casals, brought Schoenberg and Webern to Barcelona, and was the principal organizer of the 1936 ISCM Festival there. He also collected, edited and performed folksongs and old Spanish music from the Renaissance to the eighteenth century. 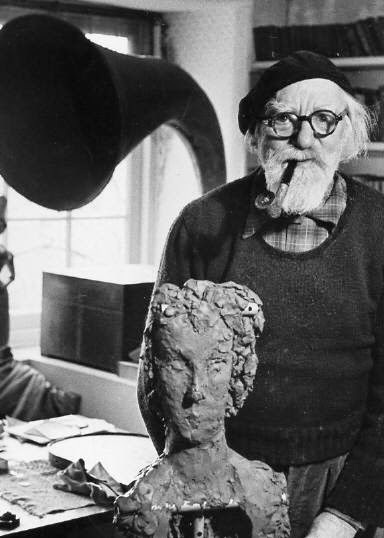 Identified with the Republican cause throughout the Spanish Civil War (as musical adviser to the Minister of Fine Arts in the Catalan Government and a member of the Republican Government's Social Music Council), Gerhard was forced to flee to France in 1939 and later that year settled in Cambridge, England. Until the death of Francisco Franco, who made it his business to extirpate Catalan national aspirations, his music was virtually proscribed in Spain, to which he never returned except for holidays. 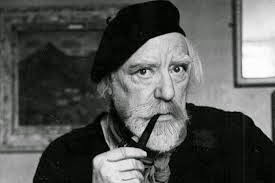 Augustus Edwin John (1878 – 1961) was a Welsh painter, draughtsman, and etcher. For a short time around 1910, he was an important exponent of Post-Impressionism in the United Kingdom. 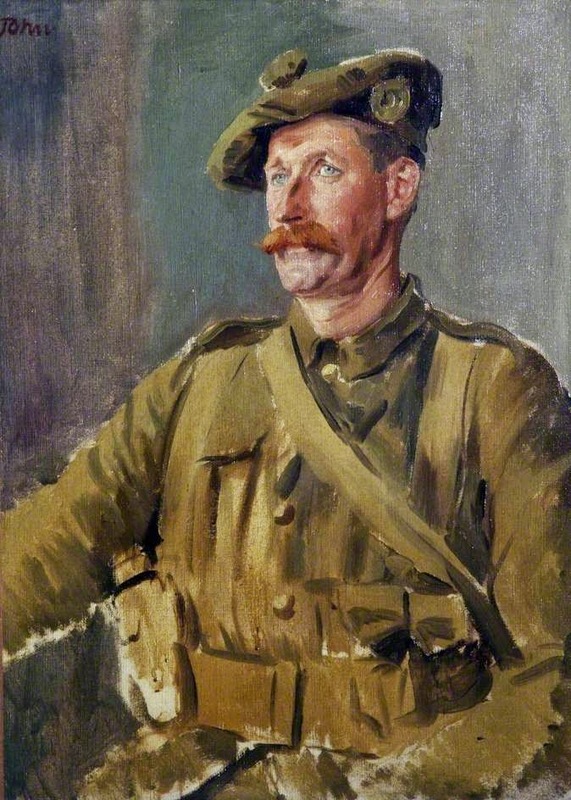 During World War I, he was attached to the Canadian forces as a war artist and made a number of memorable portraits of Canadian infantrymen. Although well-known early in the century for his drawings and etchings, the bulk of John's later work consisted of portraits, some of the best of which were of his two wives and his children. 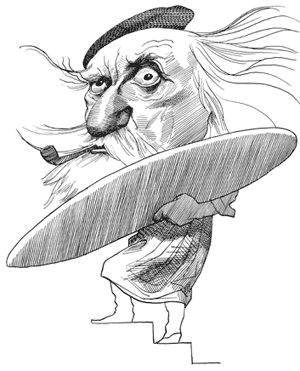 He was known for the psychological insight of his portraits, many of which were considered "cruel" for the truth of the depiction. He joined the Peace Pledge Union as a pacifist in the 1950s, and on 17 September 1961, just over a month before his death, he joined the Committee of 100's anti-nuclear weapons demonstration in Trafalgar Square, London. At the time, his son, Admiral Sir Caspar John was First Sea Lord and Chief of Naval Staff. 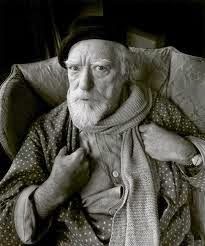 He is said to have been the model for the bohemian painter depicted in Joyce Cary's novel The Horse's Mouth, which was later made into a 1958 film of the same name with Alec Guinness in the lead role. 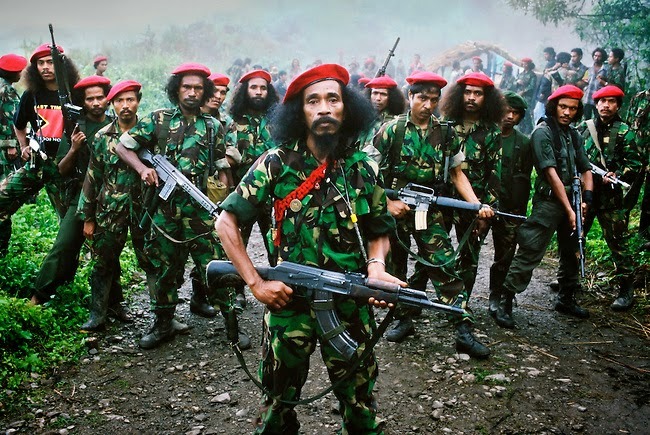 Falintil Commander Cornelio Gama, with some of his guerrilla force. East Timor, March 1999. Falintil meaning: 'National Army Front for East Timor Liberation'. 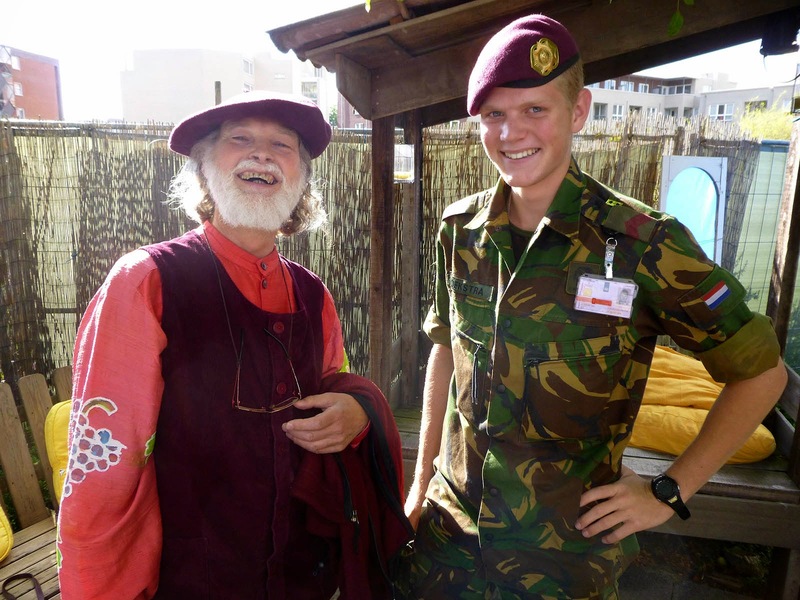 The red berets are worn on special occasions and only by soldiers who are veterans of the conflict. The Patriotic Pioneers "Che Followers" of the "Heroic Guerrilla Primary School Movement"
Regular visitors of The Beret Project know of my frustration about the idolization of Che Guevara. It's the same here, but then, hard not to be softened when seeing these little kids in their black Che berets reciting the rubbish they are taught about their hero. 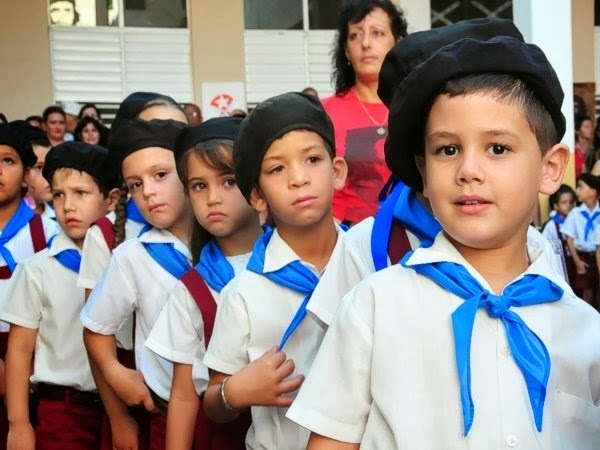 The Patriotic Pioneers "Che Followers" of the "Heroic Guerrilla Primary School Movement" was one of the winning entries in the provincial workshop held in Cienfuegos, Cuba. Getting students to approach the qualities of the exceptional commander focuses the purpose of teaching experience. I don't think they are taught about the concentration camps that were set up by Che, the executions of people who dared to have a different opinion or the many books that were banned by the heroic guerilla. But yes, very sweet children. 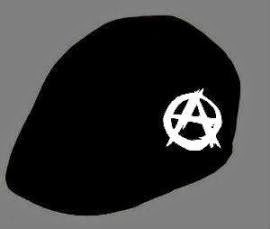 "La Boina, periódico autodenominado anarquista" is an on-line magazine about anarchism from Chile. Not ruled by one idea, no dogmatism or any theoretical fanatism, La Boina investigates ways to continue the struggle against patriarchy, capitalism, the State, militarism and any type of authority. Originally, the name chosen for the magazine was Boina Negra (Black Beret), but there were too many connotations with the berets used by the armoured corpses all over the world. It became simply La Boina. The Third Man is a 1949 British film noir, directed by Carol Reed and starring Joseph Cotten, Alida Valli, Orson Welles, and Trevor Howard. It is considered one of the greatest films of all time. 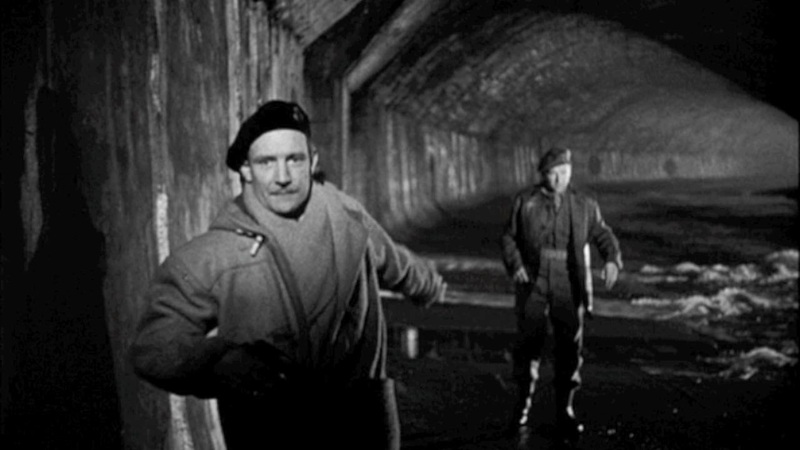 The film is celebrated for its atmospheric cinematography, performances, and musical score. 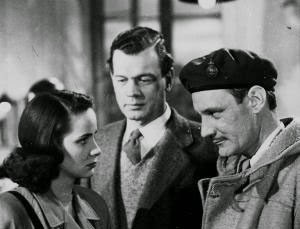 The screenplay was written by novelist Graham Greene, who subsequently published the novella of the same name (which he had originally written as a preparation for the screenplay). Anton Karas wrote and performed the score, which used only the zither; its title music "The Third Man Theme" topped the international music charts in 1950, bringing the hitherto unknown performer international fame. Louis Vuitton has appointed six photographers and directors to tell Creative Stories for each of the Six Iconoclasts of the Celebrating Monogram Project. Here, Gordon Von Steiner interprets Christian Louboutin's Shopping Bag and Shopping Trolley, with Christian Louboutin in the main role himself. It shows once again how well a red beret looks on men. 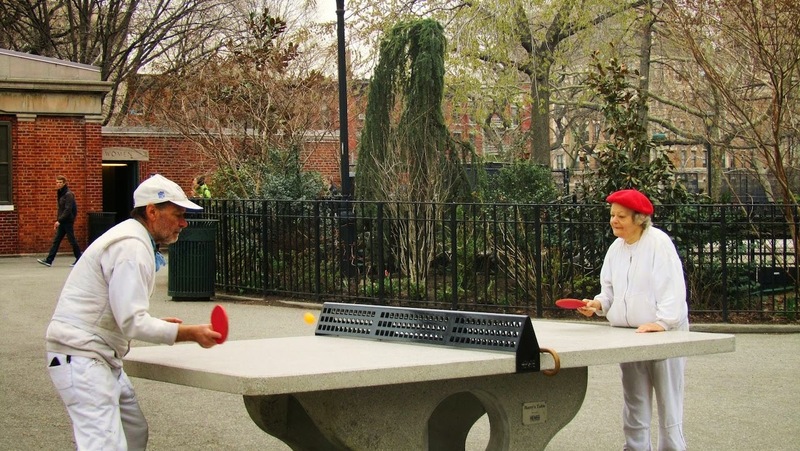 An addition to yesterday's post on Walter Gropius, and while I'm at it, another nice shot in the same sports category. 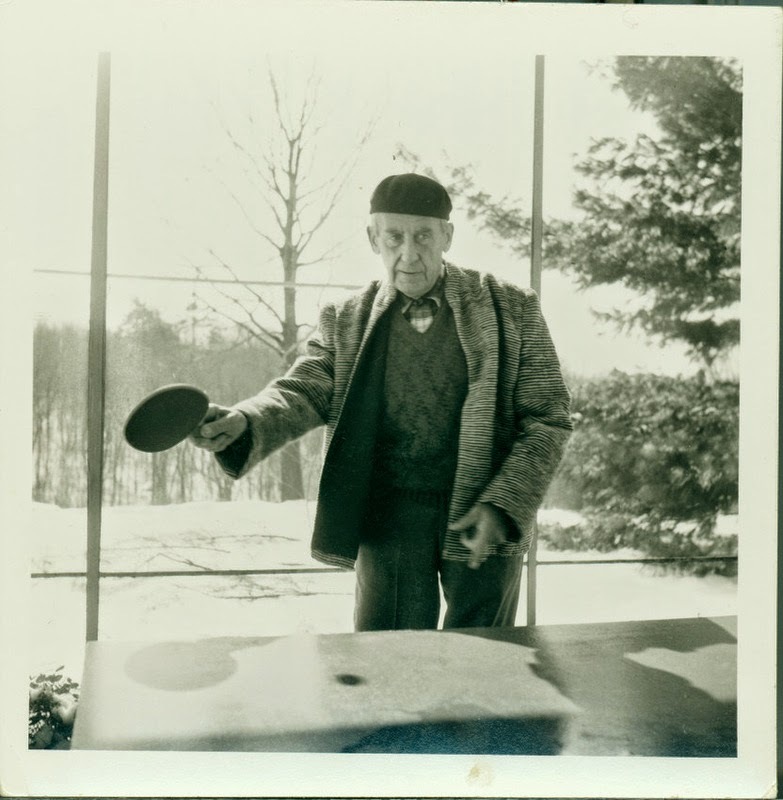 Walter Adolph Georg Gropius (1883 – 1969) was a German architect and founder of the Bauhaus School, who, along with Ludwig Mies van der Rohe, Le Corbusier and Frank Lloyd Wright, is widely regarded as one of the pioneering masters of modern architecture. 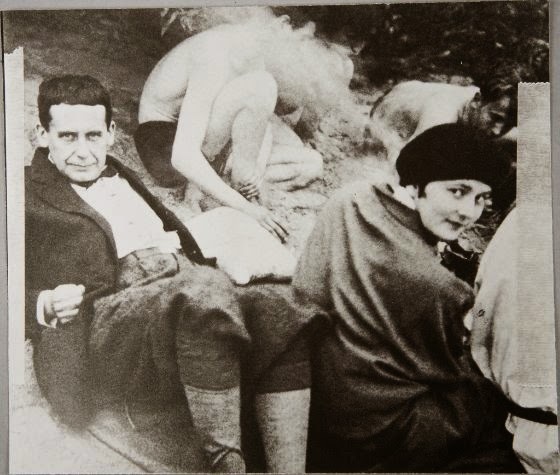 In 1915 Gropius married Alma Mahler, widow of Gustav Mahler, but divorced after 5 years. In 1923 he married Ilse (later changed to Ise) Frank, and they remained together until his death in 1969. Drafted into the army, he survived WWI both buried under rubble and dead bodies, and shot out of the sky with a dead pilot. He was awarded the Iron Cross twice. 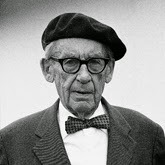 Gropius then, like his father and his great-uncle Martin Gropius before him, became an architect. 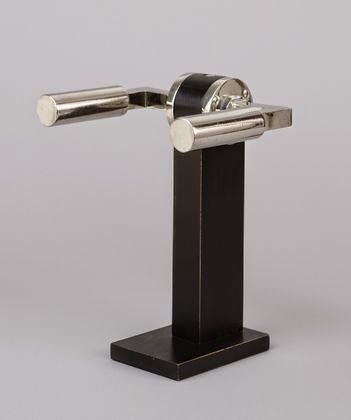 In 1923, Gropius designed his famous door handles, now considered an icon of 20th-century design and often listed as one of the most influential designs to emerge from Bauhaus. The rise of Hitler in the 1930s drove Gropius out of Germany, to Britain and in 1937 to the United States. 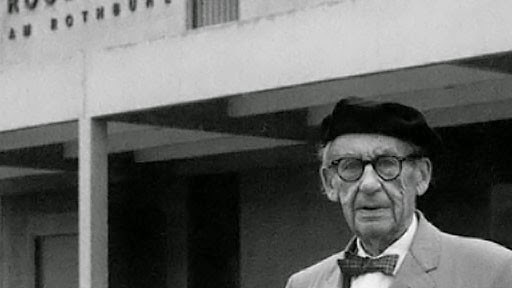 Gropius dies on July 6, 1969 and today is remembered not only by his various buildings but also by the district of Gropiusstadt in Berlin. 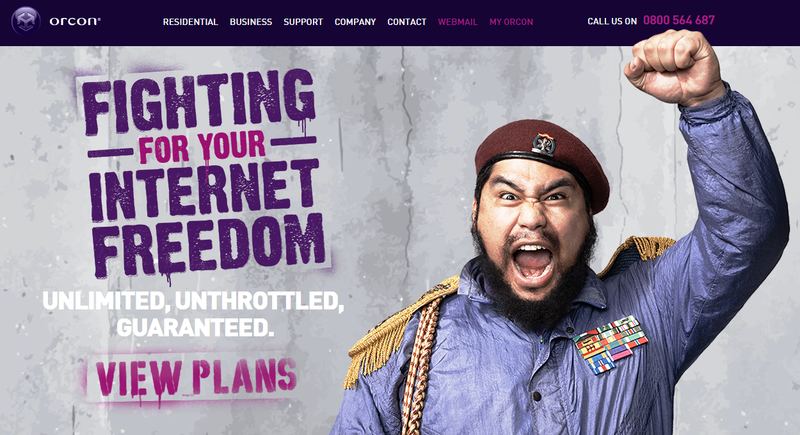 Orcon is a privately owned New Zealand telecommunications company. 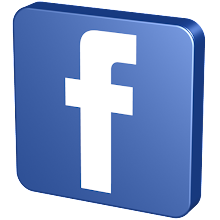 It is New Zealand's fourth largest Internet service provider (ISP). 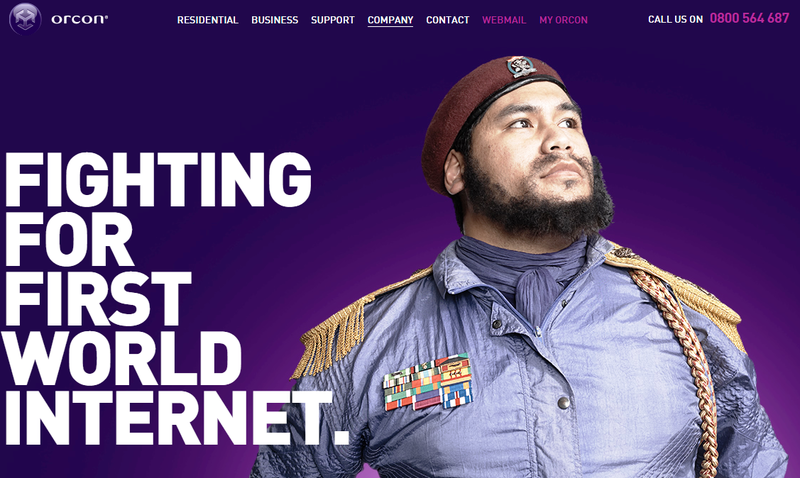 Previously known for its association with questionable internet entrepreneur Kim Dotcom, it now hooked up with a beret wearing Ché based dictator character to get its commercial message across. 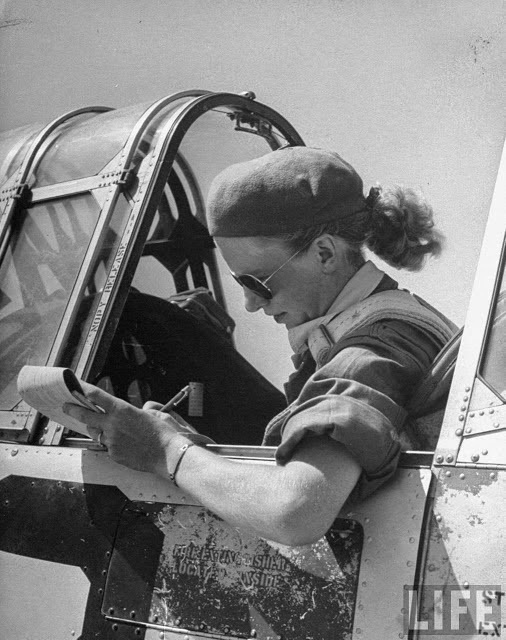 Jean Pearson, pilot trainee in Women's Flying Training Detachment to later join the all-civilian Women's Auxiliary Ferrying Squadron, using a beret & a ribbon-tied hair knot to keep hair fr. flying, in cockpit of trainer before takeoff at Avenger Field. 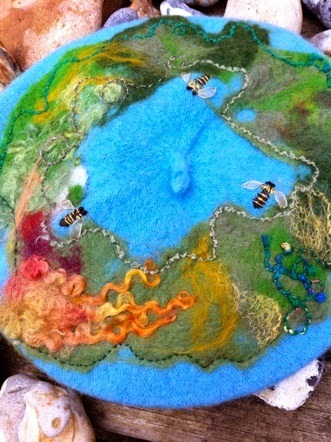 These berets are made by the artisan Pupak, who uses wool right off the sheep. They can be worn as planetary remedies, or to attune with the energy of a particular planet. Fits around the head above the ears of an adult or over the ears of a child. "In the days of old, when people engaged their hands, hearts, and mind to make the basic necessities of life, most things were ensouled. You can tell it by the object’s soulful quality. It has a qualitative vibration. 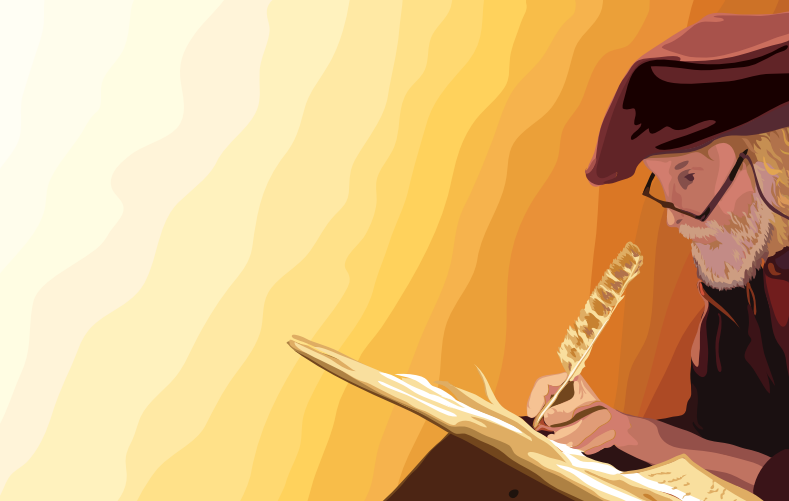 A well-crafted, hand-made and ensouled item is an endangered species in our present cultural climate. It is something in good need of nurturing back into life. Mainly because of economic competition with cheap labour, hand-made goods have been sidelined and cut in price. At the same time many thousands, no millions of people are ‘looking’ for jobs, for livelihoods. 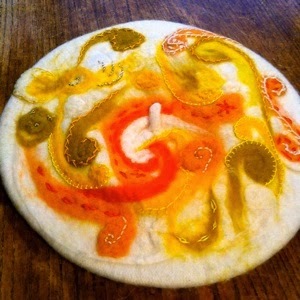 How about looking closer at home and allowing ourselves to develop our innate soulful and crafty selves through our hand-made goods? And the ‘unemployment’ pain would dissolve of its own accord." Jennifer Moon lives and works in Los Angeles, California. Jennifer is currently working on the second part of Phoenix Rising, a three-part mediation on love, revolution, and personal change. 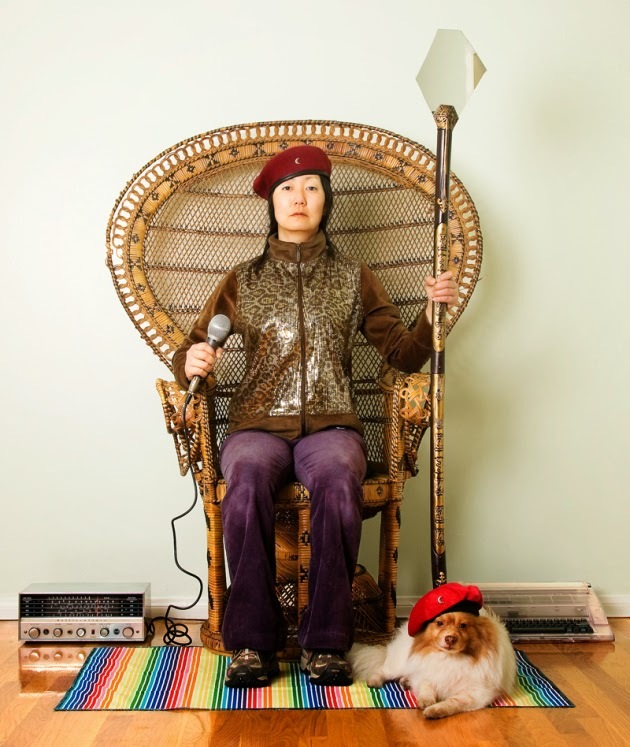 The project is both an act of self-examination and disclosure, as well as a manifestation of The Revolution, a self-authored philosophy for transformation and expansion authored by Jennifer herself. Jennifer puts it more eloquently below, she is not asking viewers to believe in The Revolution. Nor is she espousing it as a global system that will work for everyone. What she is doing – and what the work models – is challenging the viewer to operate from a position of belief, and not belief in Jennifer or her beliefs, but in themselves. It is this challenge that makes Jennifer’s work so compelling, and unique among the artists living and working today. 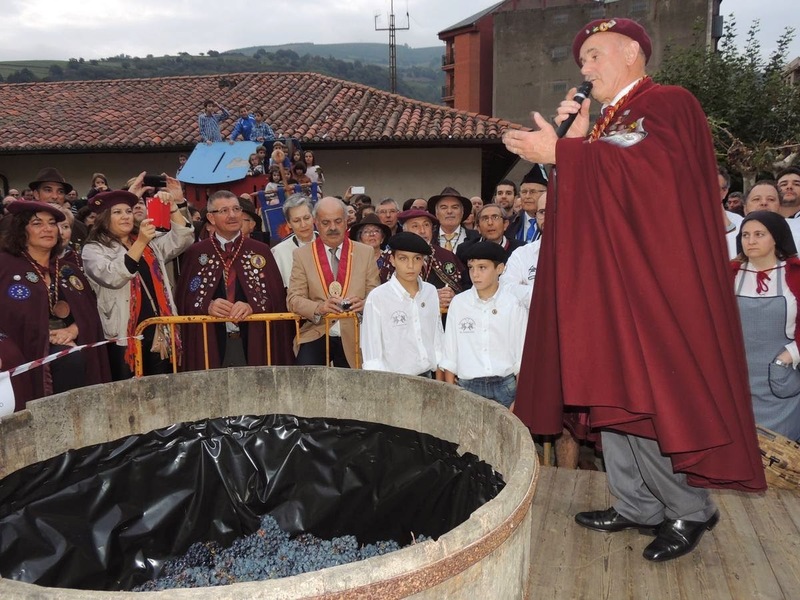 The wine-harvesting festival in Cangas del Narcea (Asturias, Spain) is a great occasion to spot berets, or boinas, in the wild of Spain. 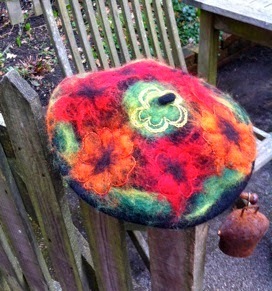 I am especially delighted to see so many Bordeaux coloured berets, my personal favourites. The streets are filled with stalls selling crafts and traditional products. 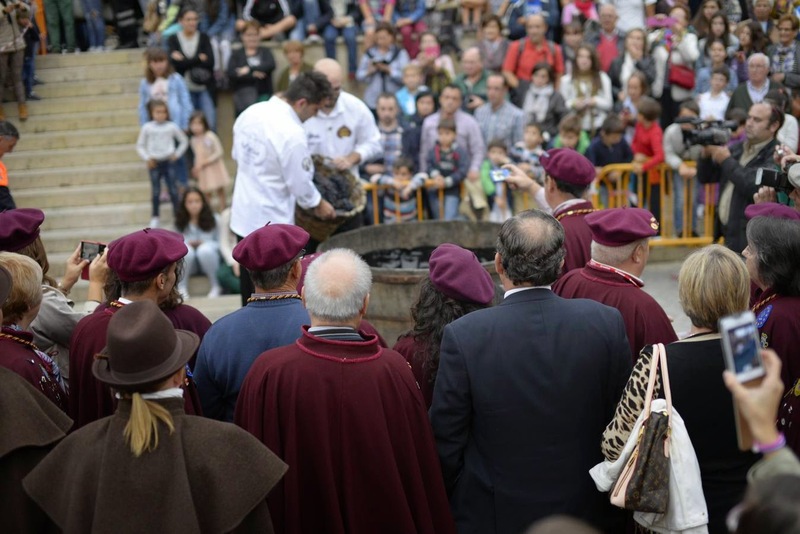 Visitors can participate in many of the festive events. 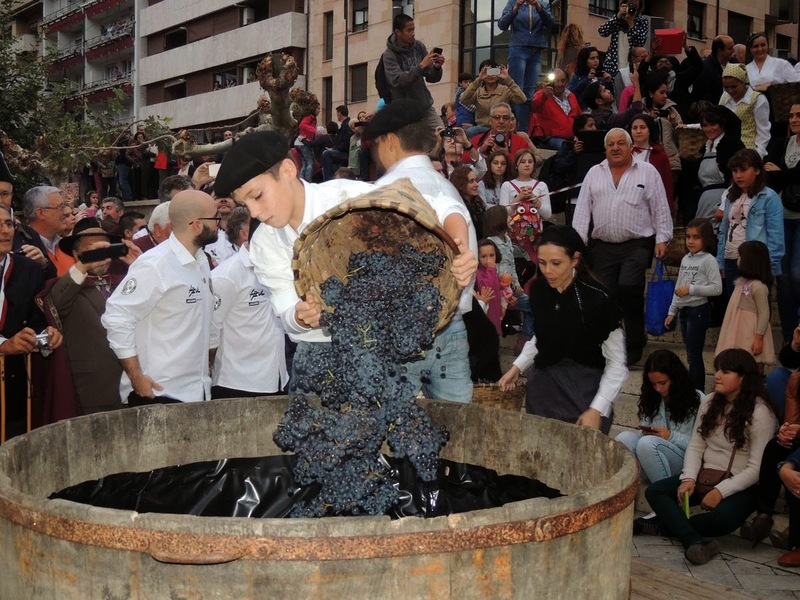 including a dramatization of the transporting of the grapes in typical Asturian grape-carts and the traditional pressing of the grapes by stamping with the feet. Naturally, visits to local vineyards are prominently on the program. Parisian company TheatrHall specialises in theatrical clothes and disguises (jabot shirts with lace, capes, berets, wigs and Venetian masks, vests and old trousers) for theatre, fancy dress, costumers, and public spectacles.How much longer they'll be able to supply the Pebeo beret is questionable - get one of the very last at Blancq-Olibet's clearence page here! Photograph of HRH The Duke of Edinburgh (b. 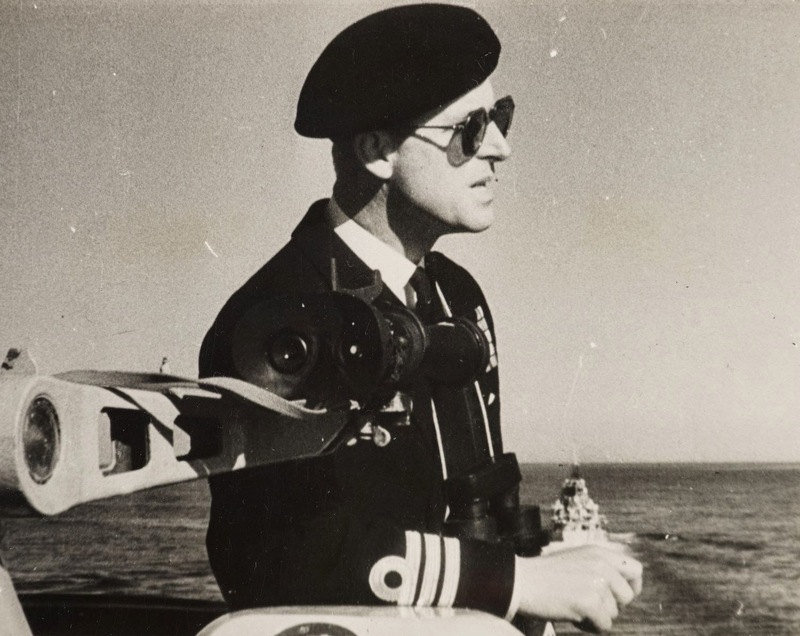 1921) standing in right side profile on the deck of HMS Magpie wearing Royal Naval Commander's uniform, a beret and sunglasses. The Duke of Edinburgh took command of HMS Magpie in September 1950. He was promoted to Commander on 30 June 1952. This was to be his final active naval appointment. In 1953 he was appointed Admiral of the Fleet. Paul (Pinchas) Roitman (1920 - 2007 ) was aPolish born, French rabbi and a member of the Resistance. In 1938, Paul starts studying medicine, but due to the war, stops three years later. In 1940 he fled to Toulouse, where he was recruited into the Jewish (Resistance) Army. 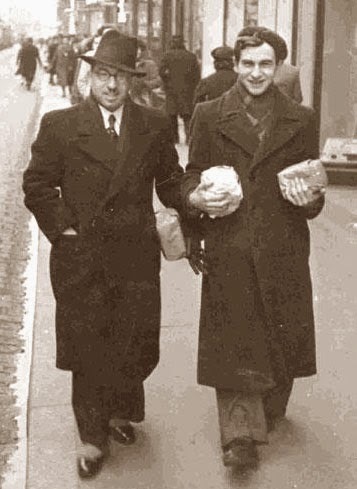 Arrested in December 1942 by the Nazi’s, he was interned in Fort du Hâ near Bordeaux, transferred to the French internment camp of Merignac , Gironde and released by miracle (the day before Purim ) on intervention by his younger brother Leo Roitman, one of the heroes of the Jewish Resistance. 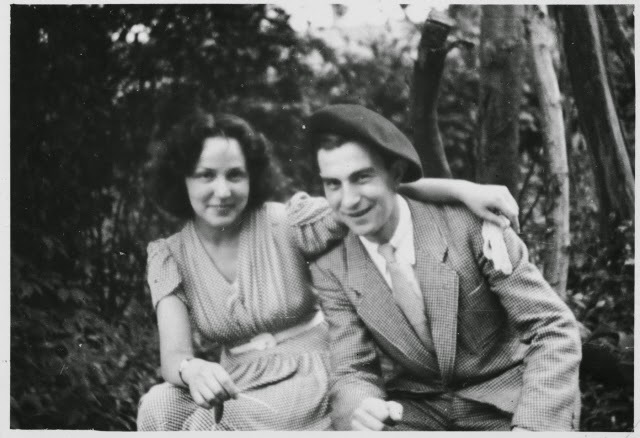 In January 1945 , he married Leah Schleicher, a young social worker who worked with him in the Resistance . The couple moved to Paris. Paul decides to dedicate his life to the Jewish people. He entered the Israelite Seminary of France with the intention of working with youth as a rabbi, but by the end of 1947, he leaves the rabbinate to devote himself to education. In 1970, Paul Roitman emigrated to Israel and amongst many other activities, founded the youth movement Tzedek , which over the years dealt with more than 20,000 children, including immigrants from Ethiopia and Russia. Paul Roitman died August 21, 2007 (7 Elul 5767) in Jerusalem . 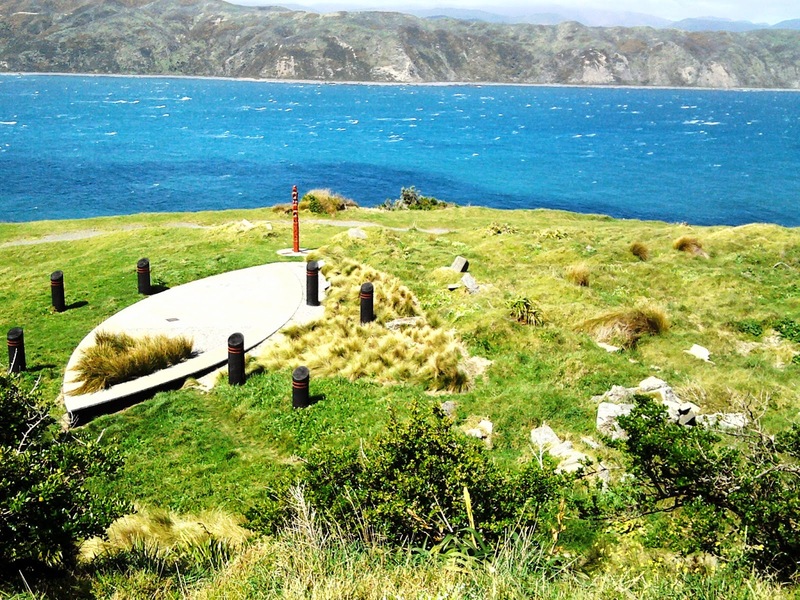 Taking my wife to the airport on this beautiful day (despite the wind gusting at 100 km/hr), I decided to go for a walk around nearby Fort Dorset, in Wellington's Breaker Bay. I love living in New Zealand, but there is one thing is miss terribly: anything old! Ruins, castles, fortresses, abandoned factories, etc. 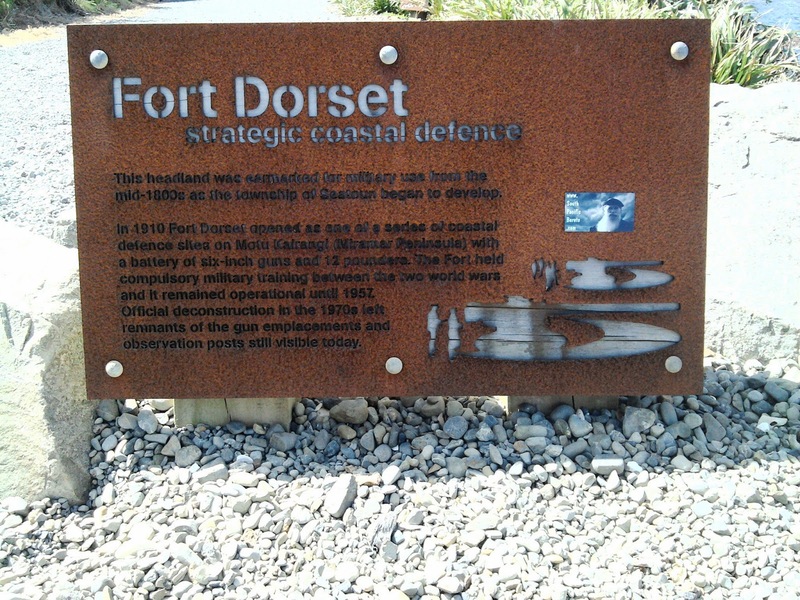 The most NZ has to offer in this respect, are the few remains of it's coastal defense works. 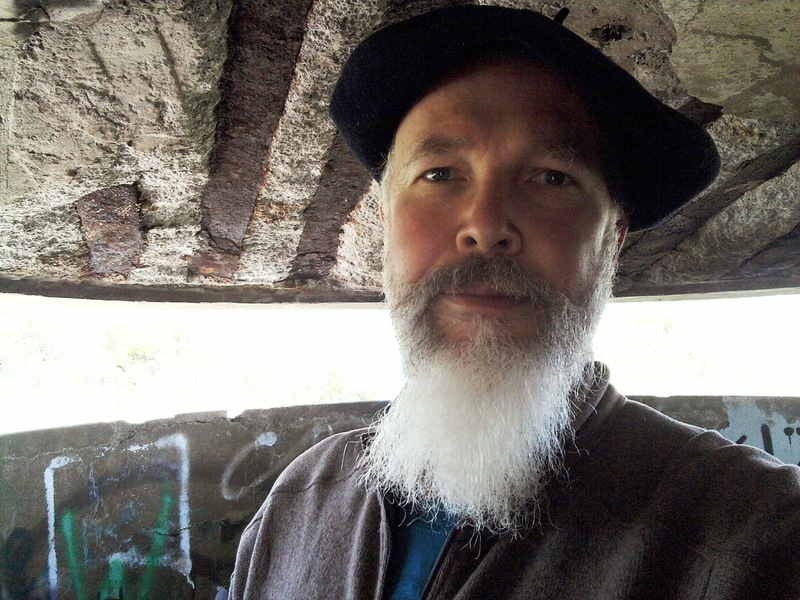 The oldest are forts built during the Russian (tsarists) scare in the 1880's, the later ones from WWII. 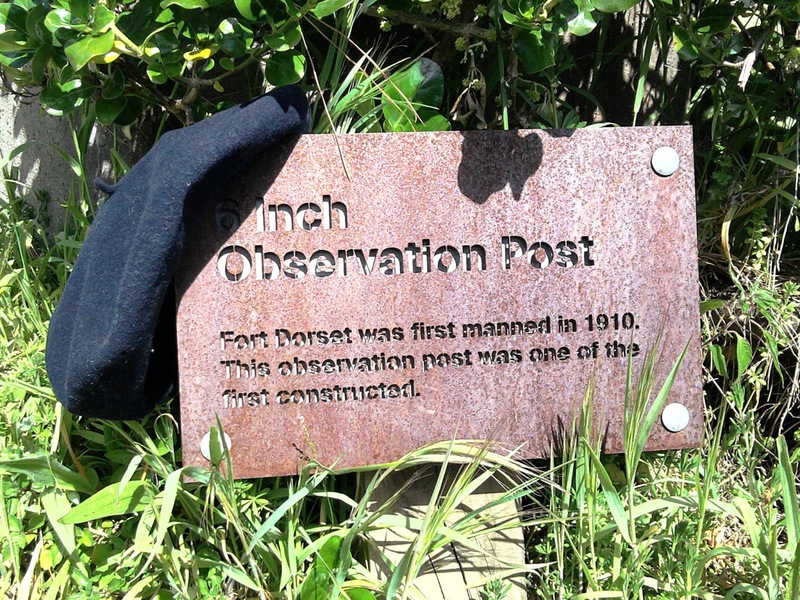 Fort Dorset was located in the suburb of Seatoun at the entrance to the harbour of Wellington. Apart from it's obvious military importance, it is one of the most beautiful natural areas of the city. 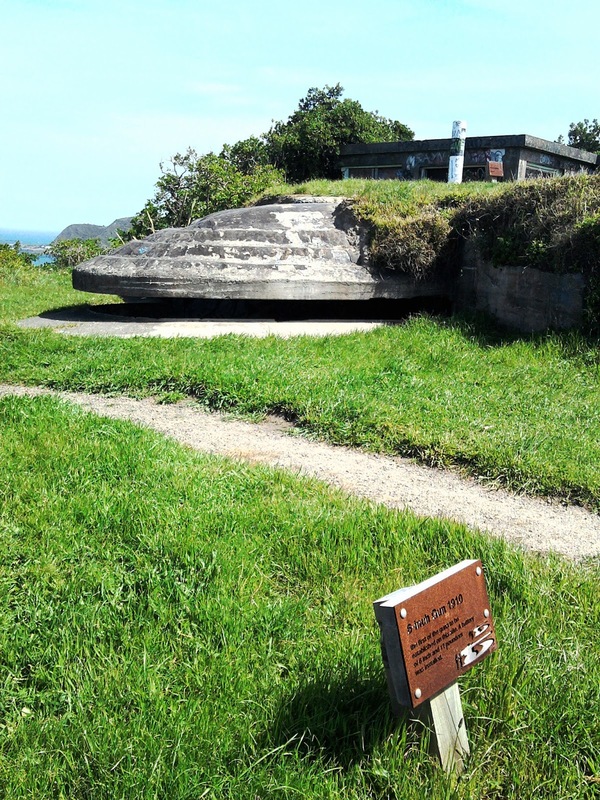 It is also land of Maori significance; formerly the site of the Oruaiti Pa (fortified settlement), an old Rangitane stockaded village near where Kupe landed. These days there is a large variety of bunkers, gun emplacements, observation posts and other unidentified concrete structures. 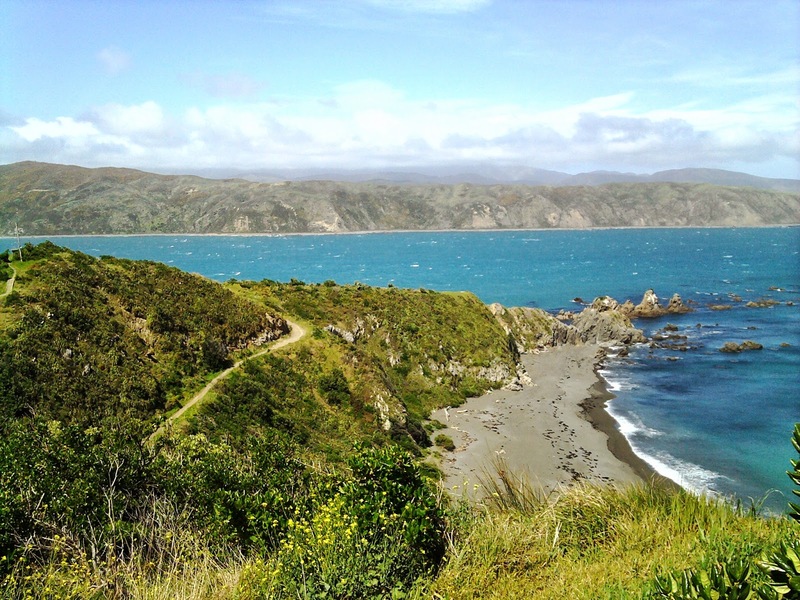 The views over the Pacific, the harbour entrance and the entrance to Cook Strait are breathtakingly beautiful.